Young rocketed into Smash 4's top 10 rankings over the last year after achieving mastery of Bayonetta, a character widely considered to be too powerful or cheap. 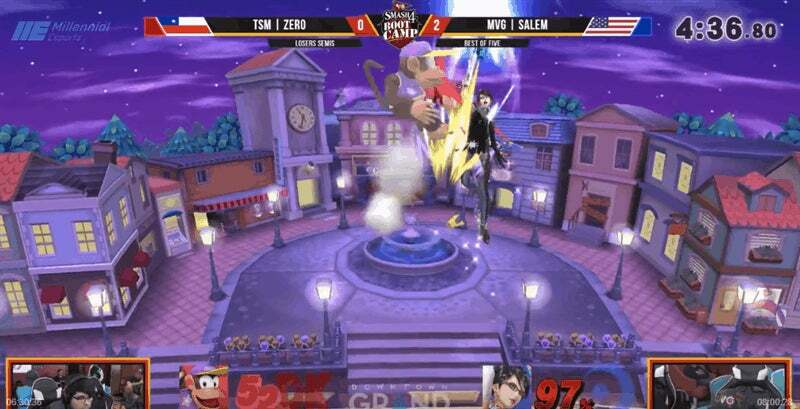 Even after a nerf, Bayonetta has some wild tricks up her sleeve - namely super-strong recoveries and truly, truly brutal combos that can churn opponents into the air before they even know what's happening. 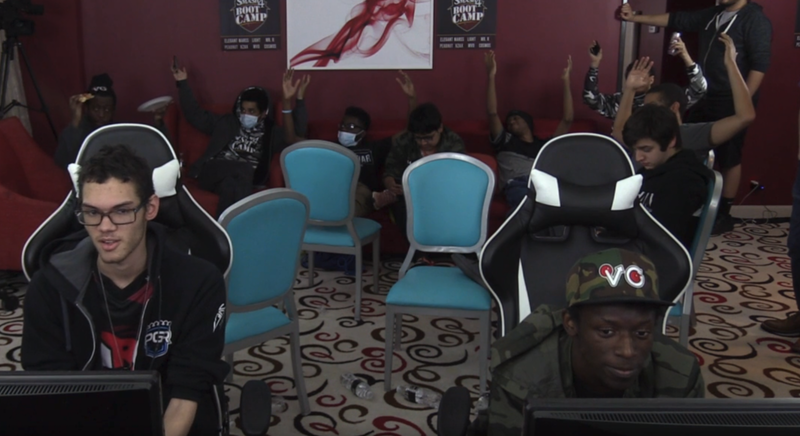 Tournament attendees and organisers threw their hands in the air, offering a literal "Welp" to the Bayonetta player dominating the event. A lot of pros have had harsh words for the fighter, but Young's talent is unquestionable. 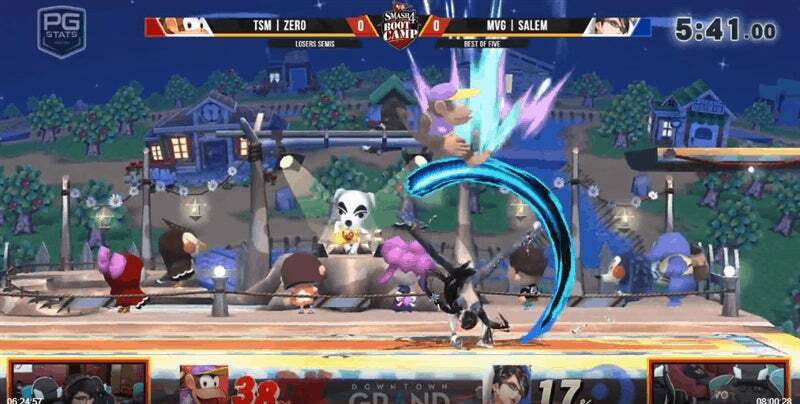 Young's upset over the game's top player, Gonzalo "ZeRo" Barrios, at EVO earlier this year was one of the wildest Smash 4 had ever seen. Later, Young would say of the match, "When I was playing ZeRo, I knew he'd do some nonsense… I was like, 'You know what - you can do whatever that is. I'll be over here. If I get my 1%, I'm winning. I'm leaving and you can be way over there." 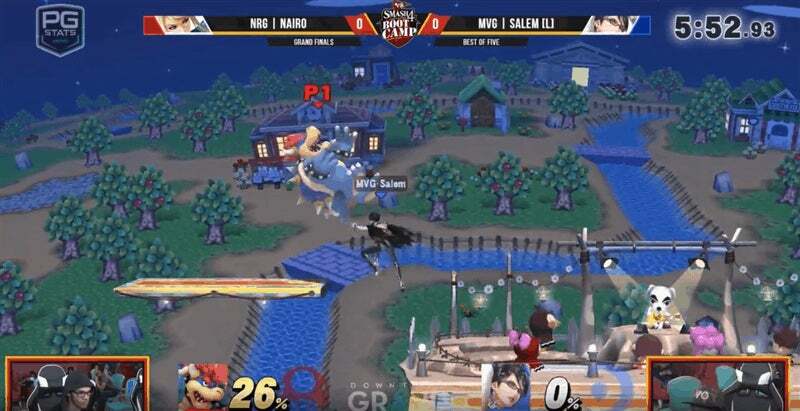 With three of the game's top players out of the way, Young faced off against the versatile, aggressive player Nairoby "Nairo" Quezada, who mains Zero Suit Samus. Young's Bayonetta is scary, and in the face of that, Quezada made some questionable choices, which, over email, he told Kotaku: "Since he came from losers, I had a maximum of 10 games to try weirder characters that I've always thought may get the job done more so than ZSS [Zero Suit Samus]. Unfortunately, didn't pan out my way but was a good learning experience." Boot Camp doesn't count toward the official Smash 4 rankings, so Barrios remains the top dog, and Young remains at No. 7 for now. But as long as he can ride the controversial Bayonetta, Young is clearly en route to a top-three ranking in 2018. This fascination with putting 20 gifs in an article and no video has to stop. The white edged chairs make it look like a low budget green screen.